For a long time, B2B marketing has been all about strong networking and client references, but after the digital revolution, things are finally changing. B2B companies worldwide have opened up to the digital prospects and are heavily investing in gathering leads, establishing brand reputation and making use of search traffic online. Something that was not considered necessary earlier. But today, if you’re a B2B company, you can increase your business connections and sales multifolds with the help of digital assets. One way is to make a website. A B2B website combines several types of digital marketing efforts under one roof and makes it highly comprehensive to carry out marketing. It also acts as a brand identity in the digital space and great validation for customers who make their first impression about your brand online. In fact, it’s a well-established fact that Google search is the number 1 source of customer traffic for B2B companies, making it necessary to own a website. 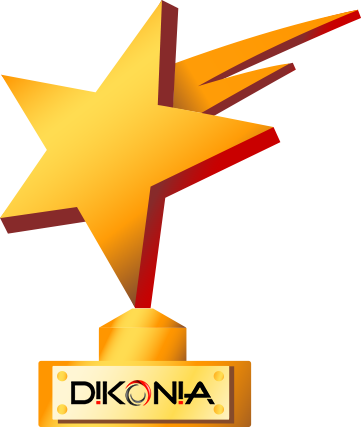 We at Dikonia, are a web development company in India, who caters to the website needs of mainly B2B clients. 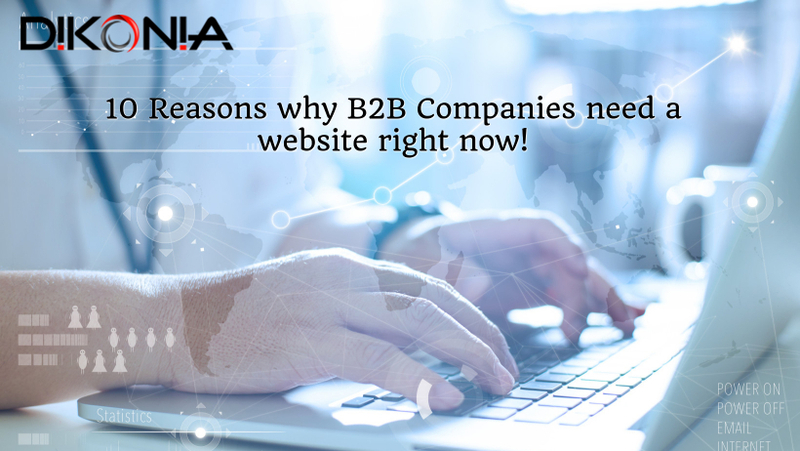 This gives us a great insight into the industry, from which we have brought out the top 10 reasons for having a B2B website, if you already don’t have one. The information will help you identify the importance of a web presence and how it can help your business to expand beyond physical boundaries. Most of these channels are closed loop and although the chances of quality leads are high, the quantity of leads is scanty. Businesses who want to actively grow and increase their client base continue to struggle to spread their word in the larger domain. They’re left on the mercy of client references or word-of-mouth publicity. A website gives them the much needed discoverability by exposing them to B2B buyers online. This way they can reach out to potential customers out of their current loop, and actually expand the business. It is not surprising to see that the percentage of people who use internet daily in US and Canada amounts to 88.5%. Roughly speaking, that is nearly an internet pool of 300 million users. You can well imagine the scale at which your marketing efforts will reach. Off lately, with the rise in digital advertising and internet dependence on marketing, people have started associated a brand’s reputation with its web presence. In fact, about 90% of people buy products after investigating reviews online. Therefore, if you have a smart looking website, that has a professional appeal about itself and clearly mentions what you do, you are giving your customers a lot of validation to believe in your brand. Our web development services in India have produced websites for a number of international clients ranging from USA to Australia and we make sure that the design ethics are followed in each of them. Below are some examples of lucrative B2B web design. All of the above websites are made to generate leads and establish professional brand appeal. When we talk of marketing a business online, there are several ways by which you can do so. You can advertise on Social Media, on Google Search results, via emails, or via your own website. But having a website helps in integrating all these efforts together. In Digital Marketing terminology, this is called a sales funnel. The sales funnel helps in trickling down the streams of customers to the main attention point – your sales contact. In the online world, there are several ways by which a person can come to know about your business. They can be on Facebook and may find your page, or might stumble upon a Google search result. 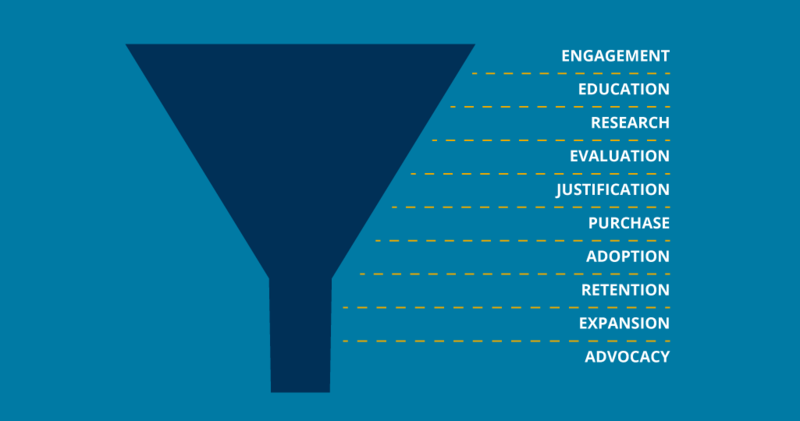 Building a comprehensive marketing funnel makes sure that they’re guided to your business properly no matter where they come to know about you. A website will help you integrate everything together. Search traffic is the biggest contributor of customers for any kind of business. In case of B2Bs, the local search traffic is great importance. Considering that most B2Bs follow the corporate culture where they offer their services via a proper corporate process, increasing local search visibility is crucial. All of which is provided by a website. A website is one of the best ways to build an email marketing list by offering newsletter subscriptions. 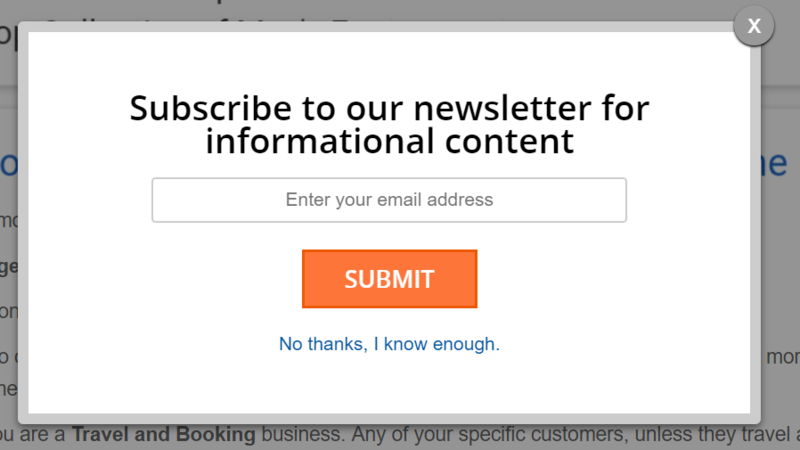 Website offers several ways of gathering emails from users. With advanced design techniques, B2B marketers are able to leverage email marketing to their advantage and draw in customers via email channels. In the digital age where most of the conversation has been digitalized and we talk on chats and emails, having a digital portfolio is a great benefit. When you first come across a lead in the offline world, rather than speaking out your elevator pitch, you can simply share your website address with them for all the information they need. Same goes for the potential buyers online. They can access both a general overview of your company as well as business-specific information in no time from your website. A significant amount of B2B companies have WordPress portfolio websites that serve as digital brochures for their businesses. At dikonia we ourselves have developed several WordPress websites, making us a prominent wordpress development company india. See how to get a WordPress website developed for your business. Digital marketing happens to be one of the most cost effective ways of building a strong marketing influence. Most of the conventional B2B marketing takes place either via delegation or via conferencing events, both of which involve a lot of expenses. If you’re fan of newspaper or print media, that too will cost you a lot for a one-off influence. $500 to $1000 for print ads and networking events whose impact retention is a month at max. $500 to $2000 for a website that will continue gathering leads for years at a stretch and can be upscaled as you grow. Therefore, you can see how Digital Marketing and building a website offers ton loads of benefits for the same amount of investment made by you. You can increase the reach, the ease and the amount of people you advertise to, via a website. Which is far more than the print media can ever do. The best thing about websites is that they work on their own regardless of holidays, time of the day or any other hindrance. As long as people are using the internet, your website will keep advertising itself to the audience. Most of other marketing techniques can’t do this. The modern lead gathering technologies employed by web design agency in India heavily increase the amount of leads you can gather with a website. Here are some tips on increase the quality and quantity of your B2B website as suggested by our web development company chandigarh. In contrast to e-commerce and news websites, corporate web design is free of clutter. The primary purpose of your corporate website is to communicate useful information about your company to the visitors. And everything that doesn’t qualify as useful information must be removed. Large pictures covering significant parts of the screen with no relevance to the content. Long paragraphs explaining your services on the front page. Social Widgets at several different parts of the website. Big map boxes showing your office location. Adding more white space on the website and maintaining a clear contrast for useful information, makes the website easy to digest. The visitor can clearly point out important elements such as contact information, service details and query forms. Furthermore, the website real estate must be used wisely with an eloquent mix of graphics and text. Too much text and too much graphics, both becomes issues. Hence, keep it subtle yet expressive at the same time. The website visitors must not have trouble finding important pages such as “About Us”, “Our Services” and “Contact Us”. The links to these pages should be obvious to locate and clearly visible above the fold. There are a number of ways for making navigation simple but they’re subjective to the design of your website. The simplest way is to keep a sticky navigation bar that follows the visitor as they scroll down. It makes sure that these links are accessible at all times to the visitor. Then, you can break the page down into smaller segments containing a link to each of the above mentioned pages. This makes sure that the visitor gets to notice these pages as they inspect the site. Lastly, you can add a hamburger icon to the website which will concisely enclose all the important pages without taking extra space. Users can instantly access these pages whenever they feel like. This is a great tactic to make the website mobile friendly. The front end or the part of the website that will be displayed to your audience at all times needs to have an eye-catching design. If the users are wooed by the aesthetics of your website, you have won half the battle towards wooing them for your business. This can be done by taking care of simple design elements as discussed below. A Professional Logo: Get a professionally logo designed, don’t try to sketch it up yourself or get it cheaply made. A thought provoking logo speaks more to the visitor than all of the text combined. A Corporate Theme: If your website runs on WordPress, you can easily choose from a wide variety of corporate themes available on the internet. If not so, spend some time on deciding a continuous theme for the entire website. Smooth Transitions: Animations such as loader clocks, pop-up transitions and scrolling effects are considered to be UX enhancing. You can keep a bunch of them on the site to make it look impressive. Non-Stock Photography: Invest in original copyrighted graphics for the website rather than settling for the free options. Free stock photos get circulated a lot around the web and noticing such imagery can instantly decrease user confidence. Performance aspects such as site loading speed, the arrangement of content, mobile responsiveness and onclick events are key indicators of the website’s credibility. A study found that 88 percent Americans are likely to attribute poor performing website to the brand’s market competitiveness. This simply means that if your website has visible issues such as faulty buttons, broken links or a slow loading speed, your visitors will think you’re company is the same. This is but natural. An underperforming website sends the signal that you haven’t invested in a quality website developer and went for a cheap fix. Which puts down expectations for your business. While this is still ignorable for e-commerce and blog sites, it screams in the face for corporate websites. Apart from making generating leads and increasing your network, you can always use your website as an e-commerce platform for directly selling your products. A number of e-commerce portals in India and abroad are using their websites to increase direct B2B sales across the world. The biggest example of this is one of the biggest companies in the world – the Alibaba Group. The e-commerce giant was able to produce a whopping revenue of about $30 Billion in the first quarter of 2018 alone. Similarly, a lot of B2B businesses are now converting their websites into sales portals for their customers so that they can leverage direct buying in addition to the old method of getting-to-know-each-other. Trazoo is another young Indian startup that is seeking to explore the highly unorganized B2B sales market in India with a mobile app based B2B selling. 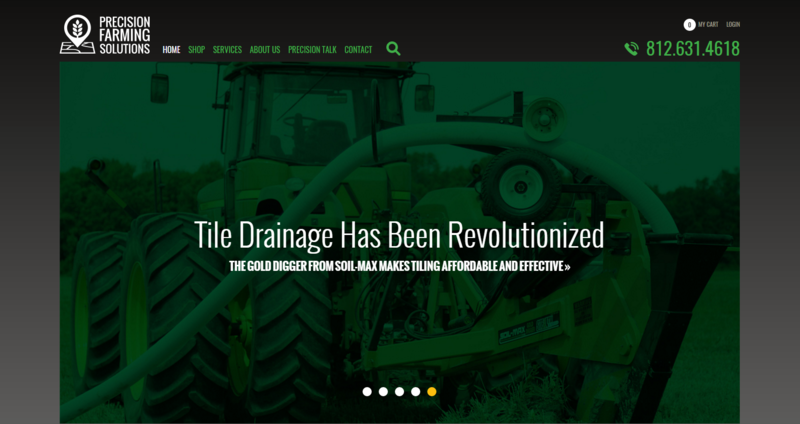 Precision Farming Solutions is a befitting example of direct sales oriented website portal that was developed by our web development company chandigarh. You can add various modes of direct sales. Such as shopping cart related sales, offering discounts on bulk orders, cost estimation calculators, requesting call backs from potential leads and many more. At last, a website is a great way to expand your B2B network. After all, network marketing is the heart and soul of the B2B business model and what better way to do this via a professionally designed website. Sharing client testimonials for future prospects. Sharing industry news and thought leadership. Sharing blog articles with insights for customers. Integrating B2B forums for discussing issues. All of these efforts eventually make you known in the tech space and you can increase the quality of your leads. Building a website in today’s highly competent world is a necessity, not a luxury. The B2B companies and suppliers can leverage an increased open loop exposure out of their immediate circles and also make direct B2B sales across the market. Contact Dikonia for discussing how to create your B2B website with our expert web development company in India.